Best Shocks for Dodge Dakota 4x4 Reviews: Top 5 in April 2019! Best Shocks for Dodge Dakota 4×4: List of Top-Rated in 2019! It’s shock absorber time again, and I am Ken Coul, your online mechanic that will provide you with the best shocks for your Doidge Dakota 4WD. Let’s quickly take a peek at what a shock is. A shock absorber is a hydraulic oil filled chamber (pump) that works with your suspension system that takes the impact from your tires and mutes the vibrations to deliver a smooth riding experience. Keep your tire surface in contact with the ground. Yup, you got it, only one and essential KPI is to make sure your tires tread surface is in contact with the ground at all times. Trucks are not meant for flying, and the less contact the tires have with the ground, the less control you have over your vehicle. Tires that are not in contact with the ground cannot brake, accelerate or provide direction. They are like little round rubber doughnuts floating in the air…until they are not. One final important message to get across, shock absorbers are part of the suspension system, they are a not a suspension system, and they are not in place to support the vehicle weight. They are there to make sure the tires touch the ground. The suspension system is what gives you a smooth ride, although good shock absorbers will take away a lot of the roughness of a ride, so when combined with a good suspension system, shocks will provide smoother riding conditions. If you like the original, then you want the Rancho RS5000 series. These are the first and original truck and sport utility shocks that came out way back in 1985. These shocks come with a ten-stage velocity sensitive valving system that is tune specific per vehicle. The glass filled fluon banded piston allows for more fluid carrying capacity, and this leads to a faster reaction time while reducing heat issues. This model comes with a self-lubricating seal that provides low friction and retains gas and oil reducing road harshness. These shocks come with double welded loops and an expanded tube body when all combined they. 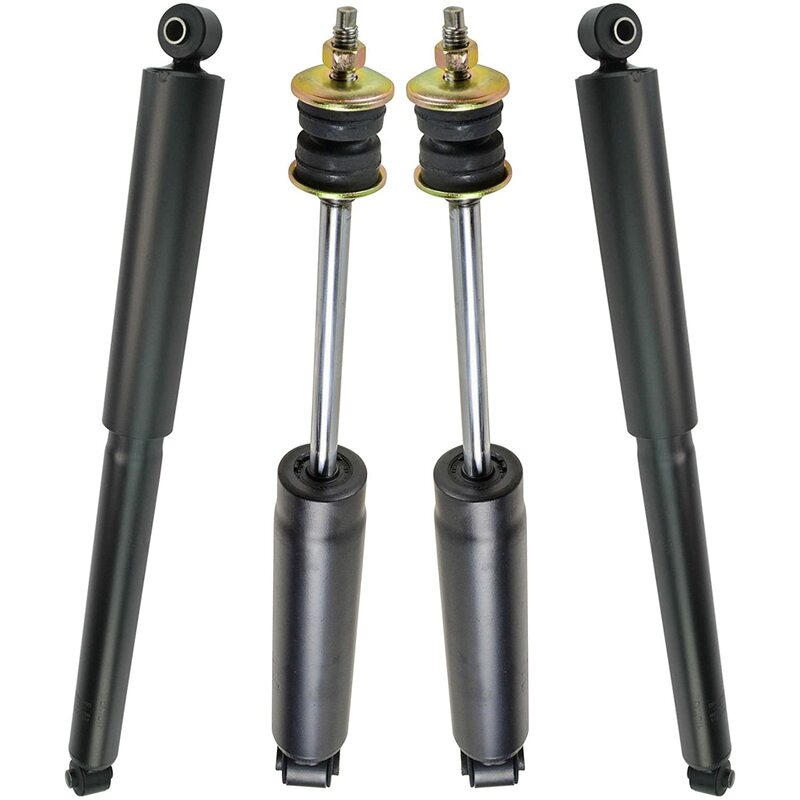 Detroit Axle shock absorbers are no-nonsense schools designed for 1997-2004 Dodge Dakota 4WD and come with a piston seal and O-ring that maintains a leak-free inner tube pressure leading to a longer life and more durable performance. The kit includes an upper strut mount, strut bearing, coil spring, boot and bumper kit and a gas charged strut. All TRQ parts are made of SAE 1055/65M High Carbon Steel, which adds extra strength to the housing. If you want the top model, and have a budget-friendly experience too, then Monroe load adjusting shock absorbers are the way to go. These shocks are designed for maximum coverage on all functions. They will provide excellent performance even when an additional 1-ton load is placed on the truck. The pumps contain and all-weather fluid that includes a special modifier for reducing friction. There is a full displaced valve that is tuned for each application and will automatically adjust itself to all road types. The fluon banded piston gives you a comprehensive sealed solution between the pressure tube and the piston. This amazing shock comes with some great specifications, and these include a compressed length of 14.73″ and an extended length of 24.07”, providing a travel length of 9.34”. The body comes with a metal dust shield. The spring rate is 37, and the upper and lower mounting codes are a 12mm sleeve with an ID of 1.11/16” Sleeve OAL. This is another TRQ triumph for four high-quality shocks that fit all 1997-04 Dodge Dakota 4×4 trucks. This is a direct fit item and will bolt into place in minutes. 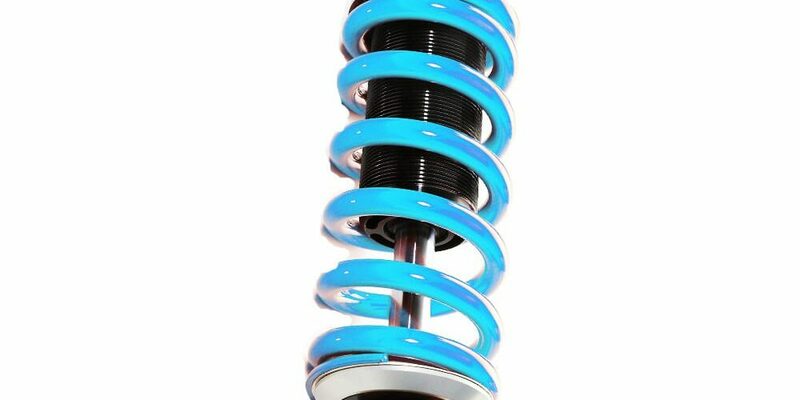 The main materials are of SAE 1055/65M High Carbon Steel providing the highest performance and strength parameters found in any shock system. I thought it prudent to give you a short lesson in engineering and let’s start off with how a shock absorber works. It basically converts the movement of the suspension (movement = kinetic energy) and converts that into heat (heat = thermal energy), which it then dissipates into the air around you (atmosphere) through the process termed heat exchange. In simple words, it takes the battering from the rough road surface and transfers it through a piston buffered system that cools the oil in the piston with excellent heat exchanging properties. The oil in question is the liquid that is contained in a sealed environment and is used to buffer pressure (hydraulics). This is done when holes in the piston allow the oil to flow through them at a forced yet fixed and metered rate due to inside pressure, this makes sure the piston is slowed, and the piston adjusts to every shock it receives, absorbing the impact and protecting the vehicle from the shock. Shock absorbers must match their suspension system, that’s because different suspension systems will only allow for certain designs to work alongside with them. There are three shock absorber types. 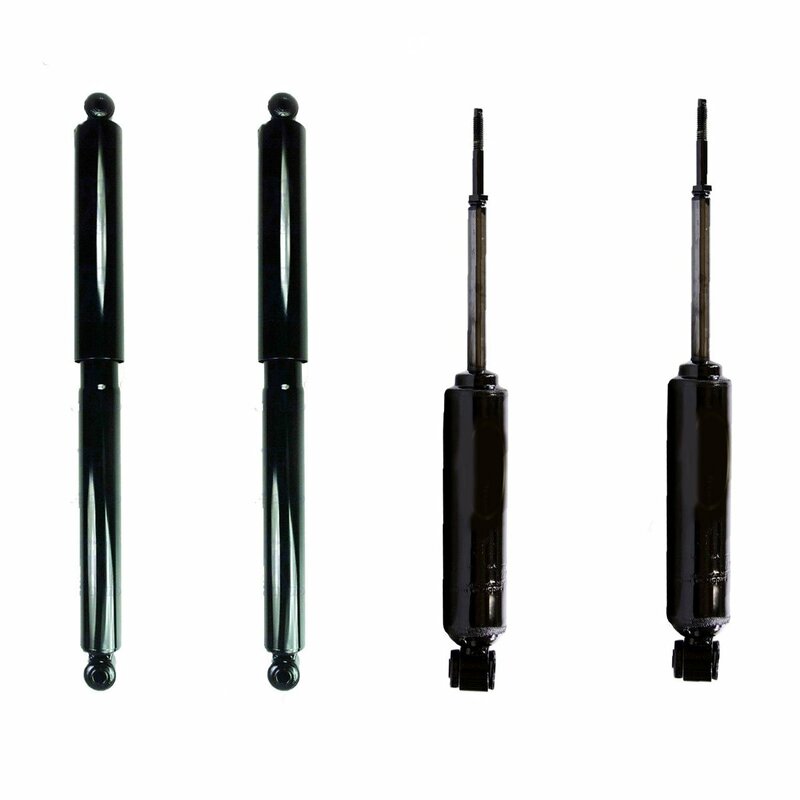 These are telescopic shock absorbers, struts or spring seat shocks. These are the basic models and found on both the front and rear of the vehicle. They are simple piston designs which you all are familiar with. These shocks actually perform two duties, they absorb shocks but also take on some of the suspension systems too. These are starting to become more abundant in style due to materials technology advances since they have to be extremely tough. These are a hybrid of a telescopic and strut type system. 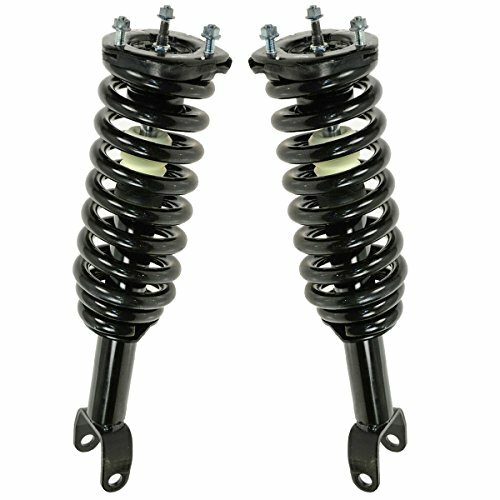 They are not meant to be used for heavy loads and are essentially both a suspension and damping system in one body. Hi! Nope, I don’t sell shocks.